Is it My Thyroid, or All in My Head? When you’re hypothyroid or hyperthyroid, you can sometimes have a hard time deciphering whether a symptom is related to your thyroid, or just part of normal life. For example: Everyone gets tired sometimes. Everyone’s body has temperature changes. And certainly, everyone can be moody on occasion. So how do you know when your fatigue, temperature fluctuation, and mood swings are a sign that your thyroid levels are off or rather a sign that you’re just… human? For me, the mental game with my thyroid is a hard one to overcome. After I had my thyroidectomy and went from being hyperthyroid to hypothyroid, so I was in thyroid limbo — my levels were in constant flux, and I could almost always blame my lack of focus and mood swings on my faulty thyroid (or lack thereof). Then, even after my levels were normalized (nine months post-thyroidectomy), I found myself constantly questioning what was thyroid-related and what was just the result of being a tired working mom of twins. But when you blame your health troubles on something for so long, it’s hard to change your thinking. Here are some of the constant confusions I had to work through to decipher whether they were due to thyroid life or just real life. The good news is this is not all in your head. Your body temperature can be affected by your thyroid — in fact, it’s a known symptom of hypothyroidism. I never knew this until I went to a Thyroid Cancer Survivor's Association (ThyCa) Conference and they had blankets everywhere for the attendees. They knew people who were living with thyroid disease had fluctuating body temperatures and they wanted to make sure everyone was comfortable. 1.) How thoughtful. 2.) Mind blown. So that’s why I’m always cold! Cold weather can also contribute to your symptoms and influence your thyroid stimulating hormone (TSH) level. 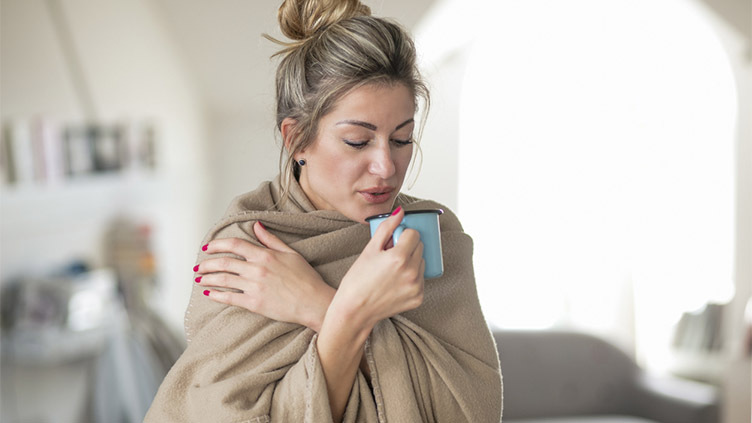 When temps drop, your TSH should naturally increase to regulate your body temperature — but for someone with hypothyroidism, you know your TSH level isn’t always on your side. To combat cold weather, or even cold spells in warm weather (it’s a thing), I pack on the layers, rock fuzzy socks, and keep space heaters in business. Is it my thyroid — or am I just moody? Holy mood swings, you guys. As if being a woman with raging hormones wasn’t enough — now my thyroid hormones are going to collide with my womanly hormones and create the perfect mood-storm? I apologize in advance to anyone in my path. While it is not fully understood how the thyroid can affect your mood, we do know that thyroid hormone receptors are found throughout the brain, including in areas linked to mood disorders. So, sure, changes in hormone levels could affect mood. 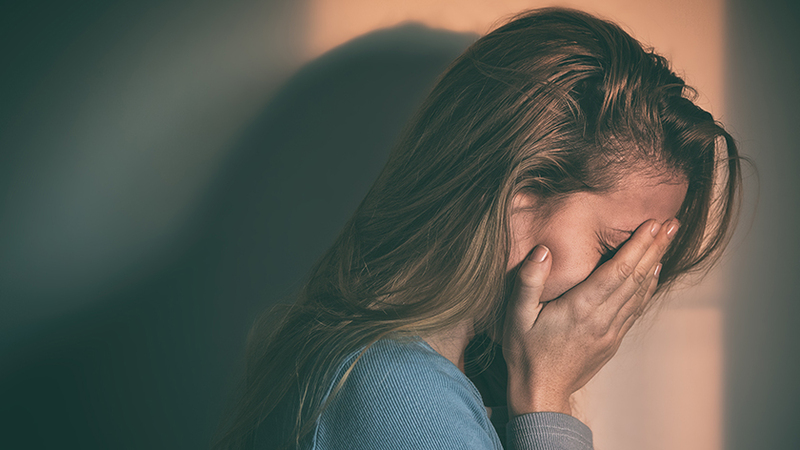 In fact, a study shows that women with hypothyroidism are much more likely to develop depression than women without the condition. But every mood swing can’t possibly be linked to our thyroid levels, right? As much as I constantly say, “Sorry guys — thyroid-swing,” I know that sometimes it’s just life’s regular stress points that are overwhelming me. In those cases, I just try to re-prioritize and practice a little self-care. Working out is one of my greatest stress-relievers! 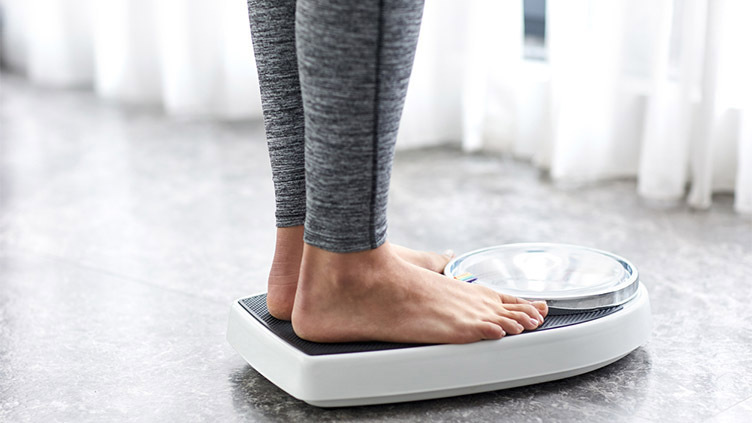 Is it my thyroid — or do I need to lay off the sweets? I have struggled with weight my entire life — it’s an everyday battle that I now choose to fight with healthy eating and regular workouts. When there was first talk of me having my thyroid removed due to an enlarged toxic nodule, I did a lot of reading about what being hypothyroid would mean. The number one symptom? Weight gain. In all honesty, I thought about refusing the thyroidectomy for fear that I would gain all of my previously lost weight back and never be able to lose it again. I worked so hard to get here, and now my thyroid was going to work against me? No thanks. But here I am, thyroid-free, living a healthy hypothyroid life. It isn’t easy — and every time I start to feel sluggish or unmotivated, I start blaming my thyroid. The best cure for that is for me to hop on the treadmill — it’s kind of a punch in the face to my thyroid levels. 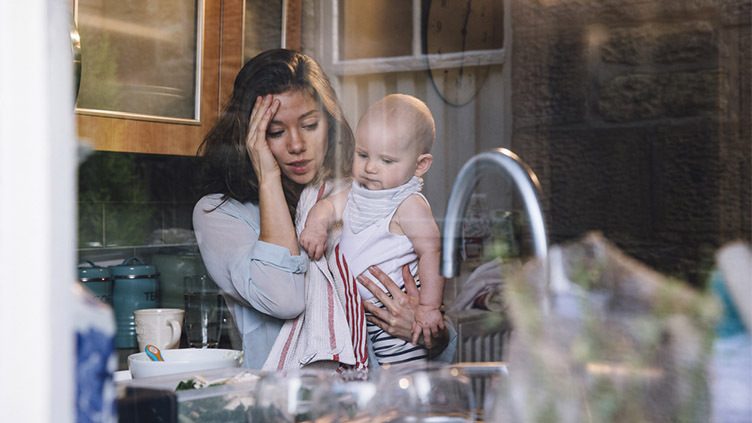 Is it my thyroid — or postpartum depression? This was the toughest combo for me to overcome. I got my thyroid removed at three months postpartum, so I was sent into a haze of hypothyroidism while also trying to stay afloat as a first-time mom to twins. Looking back, I sometimes can’t believe I made it through that haze. For months, I lacked concentration and would zone out while reading a simple work email. I would cry at the drop of a hat over the most miniscule things. I never felt present, and I was devastated that I was missing out on some of the most precious months of my twins’ lives. I’ll probably never know whether it was postpartum depression or my thyroid levels causing that haze, because by the time my thyroid levels finally normalized (nine months after my thyroidectomy), I would have been creeping out of the postpartum woods anyway. Maybe it was a little of both — or maybe my thyroid levels were the only culprits all along. Either way, it was a tough season of life, and no one can make it through that alone. Speak up to your loved ones, and even your co-workers so they can support you. Be patient with yourself. And know you’re not alone. At the end of the day, if your hands are freezing; you’re snapping at every poor soul around you; you can’t for the life of you shed those five extra pounds; or you’re postpartum but not enjoying it like everyone said you would — get your thyroid levels checked. It won’t hurt — except maybe for that tiny second when they poke you with the needle. You’ll either leave with an adjustment of your thyroid medication that could help you feel better, or you’ll leave with the reassurance that everything is fine — and that peace of mind can make all the difference.